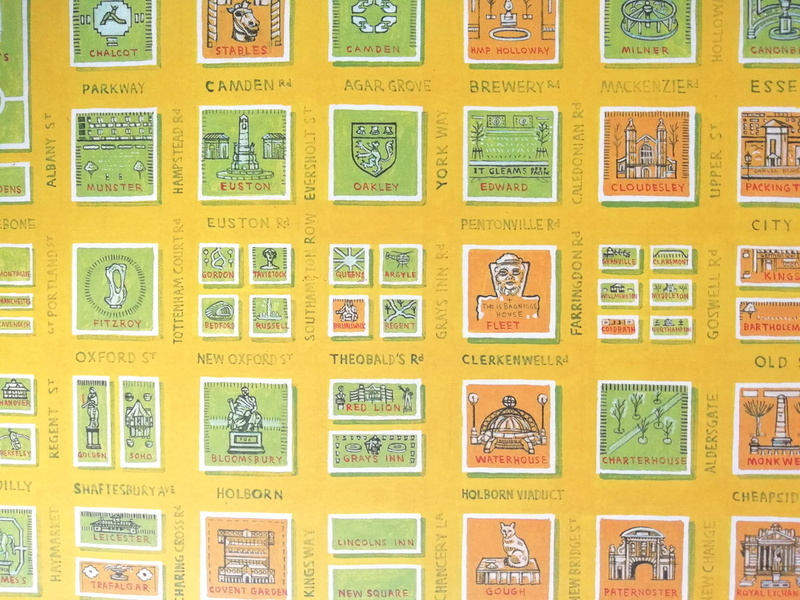 Adam Dant has, for a long time, been sketching lovely maps of London history, culture and phenomena, often focusing in particular on the historic East End. Now, Batsford, an imprint of Pavilion Books, has produced this book, collating Dant’s existing wonderful maps (and debuting some new ones) in single place and adding background information. The book has been created in partnership with Spitalfields Life, a long-running local blog for the area, and is published today. The book is impressively large, each individual page being landscape A3 size. This format gives each map the space it needs on a single page, to allow the detail, often including hand-written annotations and depictions of individual people, houses, cartouches and other embellishments, to come out clearly. 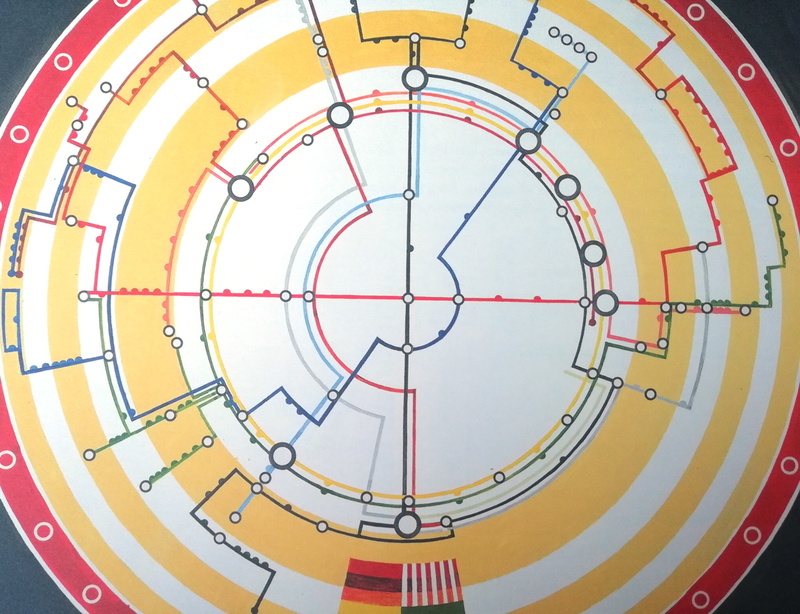 The paper is also uncoated, giving a slightly rough, traditional map feel. The overall production quality and presentation is excellent – always critical for a book containing so many graphic works – congratulations to Batsford for taking such care with the production, giving the maps the justice they deserve. 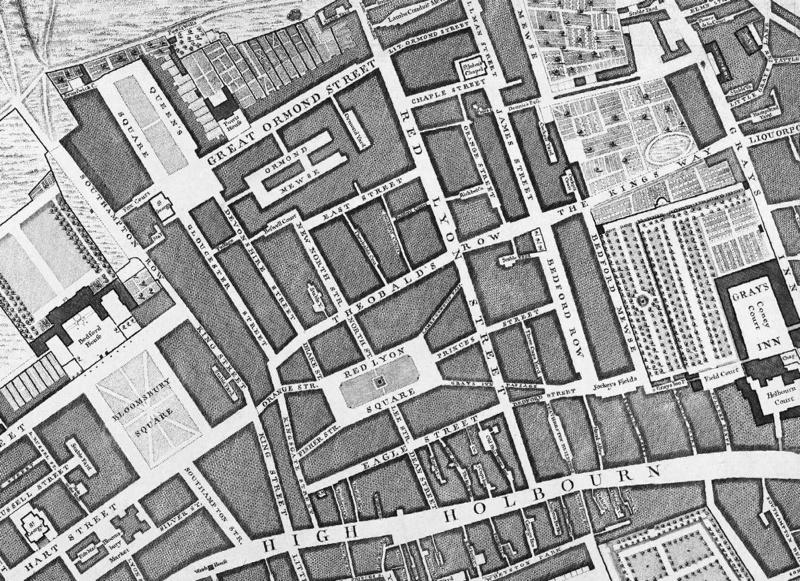 There are nearly 50 maps in all, many of whom have only previously been available as fine art works. 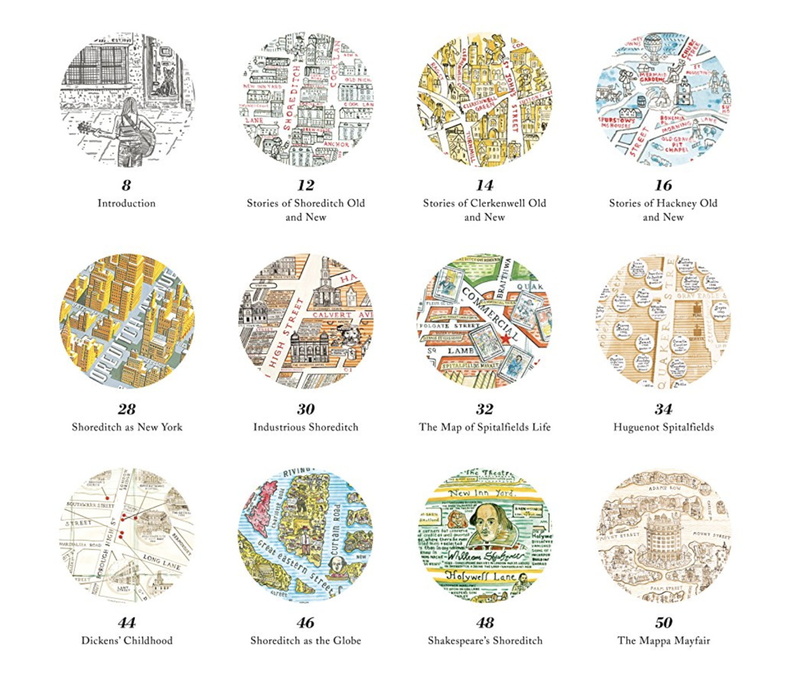 A lovely graphical contents page (actually run-in across several pages) provides a glimpse of each map, through a circle, for those wanting to pick and choose rather than read from cover to cover. 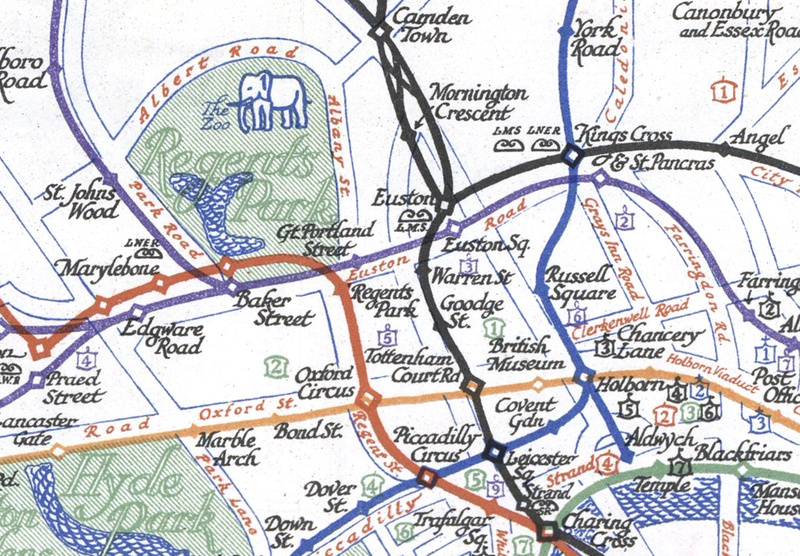 The title hints that it’s not just London that has been drawn by Dant, and indeed near the end locations as diverse as Paris, Rome, Scotland’s Great Glen and Tunbridge Wells get the cartographic treatment too. But first and foremost this is a book capturing London. Themes stretch from slang to Shakespeare, riots to coffee houses and Hackney to Mayfair. 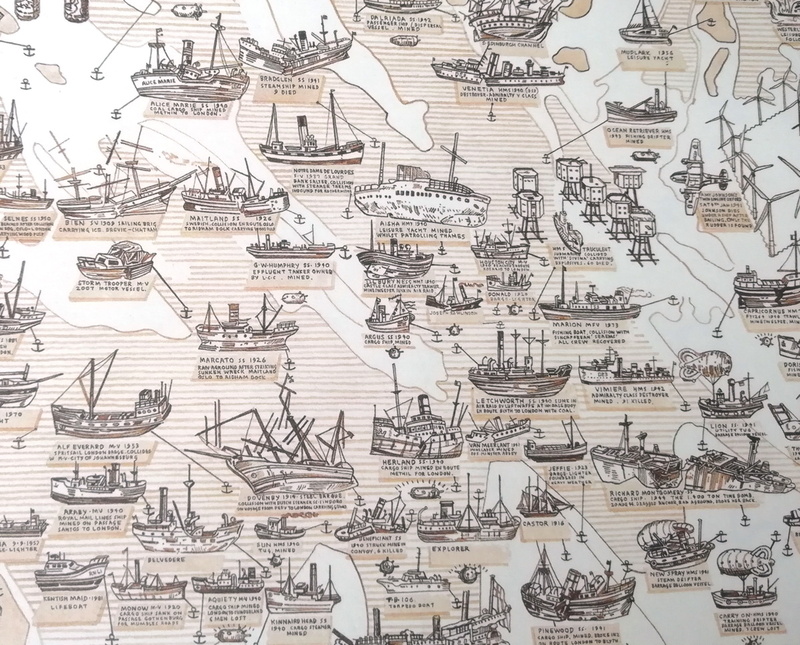 Who knew there were so many wrecks in the Thames estuary, just east of London? 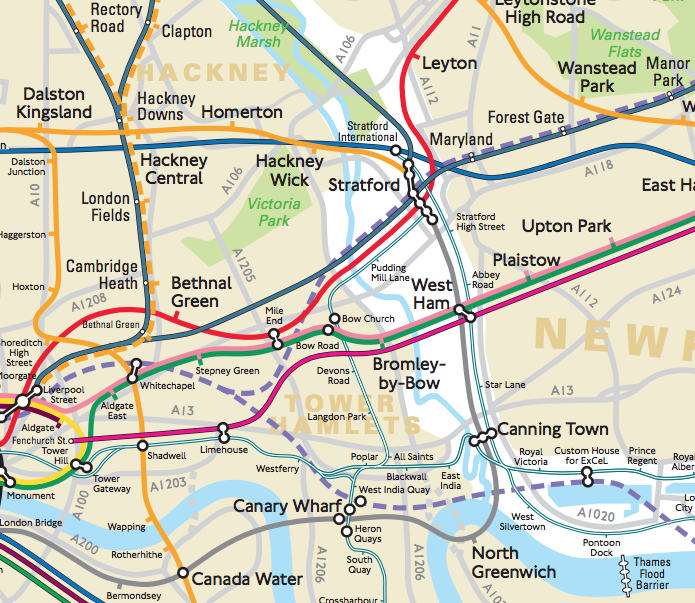 The book complements Mapping London co-author Dr James Cheshire’s data-focused “London: The Information Capital” and the more whimsical Curiocity by Henry Eliot and Matt Lloyd-Rose, its niche being as a compendium of nuanced observations on the capital. 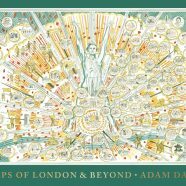 As such, with its unique perspective, it is an essential additional to the coffee table for anyone who is passionate about London, history and cartography. An exhibition of the book’s maps will take place at The Map House in Knightsbridge, presented by TAG Fine Arts, from 28 June until 14 July. The book is available on Amazon, from Spitalfields Life, and in all good bookstores. 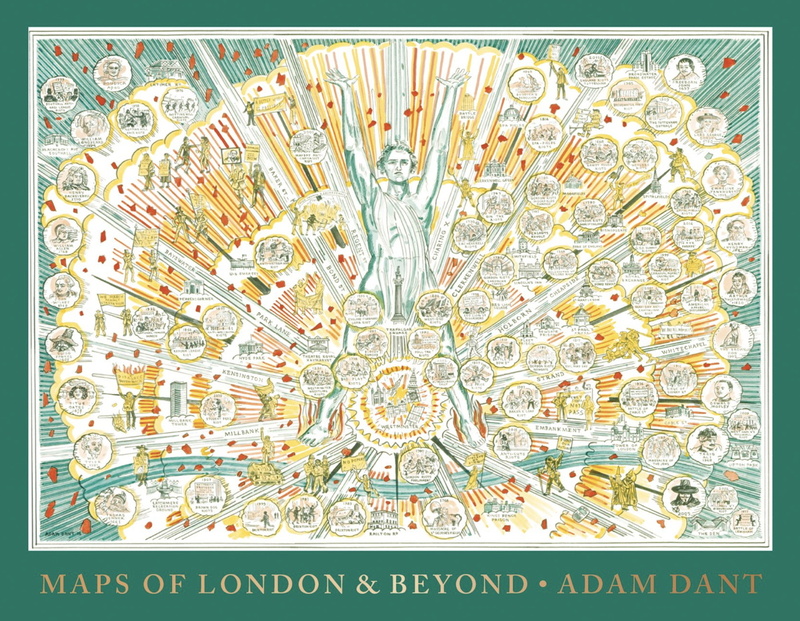 With thanks to Batsford Books for kindly providing a review copy, and to Adam Dant for drawing all the wonderful maps.